The trailer of Sanju has left many surprised! While it was known to all that Sanjay Dutt has had a controversial life, very few were aware of what exactly the actor had gone through. 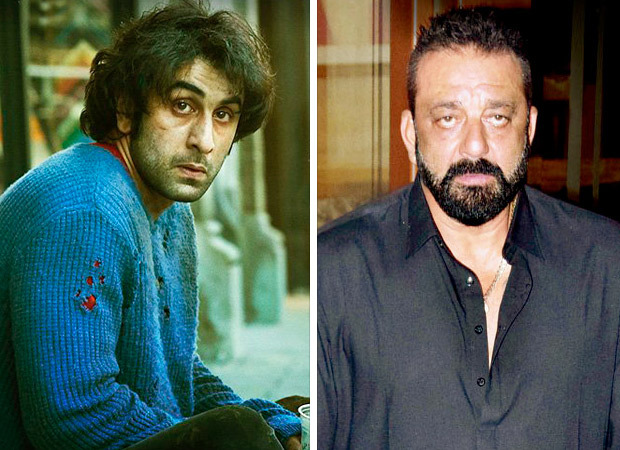 Rajkumar Hirani finally decided to tell his version of the Sanju story in the forthcoming film starring Ranbir Kapoor as Sanjay Dutt. But not before he decided to take the permission of his good friend and actor. On the other hand, Sanjay has reportedly decided not to watch the film in a special screening but to catch it as an audience. Sanjay Dutt has extended his support for Sanju since its inception. And it has been mentioned several times in the past that Rajkumar Hirani decided to make this film based on the 200 hour recording he had with the actor on the film. The film is a compilation of many incidents from Sanjay’s life and it is bound to make him nostalgic. Reports have it that he wants to relive his life as an audience member and hence he has decided to watch it after the film officially releases worldwide. Also, reports have it that even though Sanjay Dutt is keen on watching all of it about his life on screen, it is his memories with his parents that he is eagerly looking forward to see. It is being said that Sanjay Dutt has trusted Rajkumar Hirani with his story from the start and has had complete faith in his vision. In fact, reports have gone to claim that Sanjay never kept a track of the film. On the other hand, Hirani has asserted that this version of Sanju is completely uncensored. Besides Ranbir Kapoor, Sanju stars Paresh Rawal, Manisha Koirala, Dia Mirza in the role of Sunil Dutt, Nargis Dutt and Maanayata Dutt respectively. Sonam Kapoor, Anushka Sharma and Karishma Tanna too are expected to play integral roles in this film.